The Upbeat Dad! 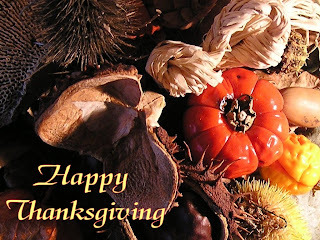 : Happy Thanksgiving Day! I trust that your day is off to a wonderful start! And I hope the remainder of the day is special for you and yours. My wife, my children and I are in Houston, Texas with my parents, siblings, their spouses and children, and many more relatives and friends. It's a very special time for us! Instead of doing an extended post today, I'm going to share with you what has been one of the most read posts since we launched the blog. It's my personal Thanksgiving story about my divorce in 2001 and how things are so different now in 2010. I shared it this past Monday. I repeat it here because it teaches us that in what might seem to be the worst of circumstances, we can still find much to be thankful for. Now, I'm so thankful that I'm having the time of my life with the persons who mean the most to me! Here's that post -Thanksgiving 2010 vs Thanksgiving 2001: What a Difference! I recognize that for different reasons, this may not be the happiest Thanksgiving Day for you - particularly if you are like the brother of a colleague of mine who's dealing with the awful reality of divorce during this holiday season. I have arranged to speak with him this afternoon because while many of us celebrate and have a great time, there are others among us who are hurting. Regardless of anything you may be facing at this point, I trust that this article that you just read will be an encouragement to you and that it renews your hope in the timeless proverb: Love conquers all! May you find find everything to be thankful for on this special day. Because even in the most challenging times, we seem to find some of the biggest blessings. I wish each of you the very best of what life has to offer. And may this day be filled with wonderful and precious memories that last a lifetime!